Level 1 – This is all about LEARNING. Do not try and define the competency or regurgitate the APC Pathway guide text, as so many candidates seem to do! Remember you are trying to demonstrate to the assessors that you have reviewed the requirements in the APC Pathway guide with your supervisor and counsellor, and have researched, undertaken and achieved the required learning. Also, remember not to talk about your project experience examples in this level, unless you wish to refer to the learning you have reinforced through your experience. Level 3 – This is all about ADVISING. This needs to be a description of the depth and breadth of your experience and specifically where you have been advising clients, colleagues and anyone else of relevance. Remember, the ability to advise effectively comes from having had a large amount of varied experience, relevant to your declared competencies. MY APC Diary – Free 1 month trail with no credit card sign up. APC Diary saves you over 60% admin time. Instantly logging on all mobile platforms. assigned candidates, in a simple to use, and centralised location. All live, with the latest information. 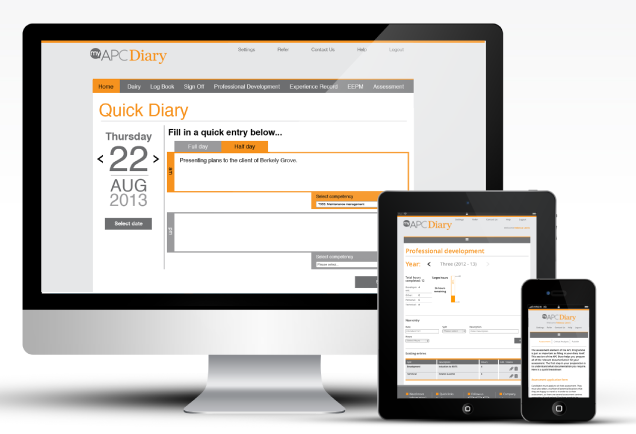 Candidates and their companies can save over £2,000.00 by using our platform for all of their diary needs. 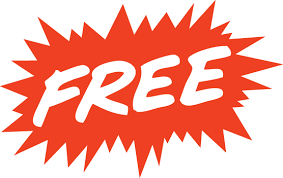 Sign up for a free trial today below to see for yourself! Log you’re RICS APC experience log as it happens. Efficiently and safely. At the assessment centre you must first register with the RICS reception administrators who will direct you to the waiting room. When it’s time, you will be asked to go to your interview room. Usually there are three assessors including the chairman, but there may only be two. The chairman explains the assessment process and then you deliver your presentation, followed by 5 to 10 minutes of questions on your Case Study and presentation. Then 30 minutes of knowledge and experience based questions focusing on your declared competencies. 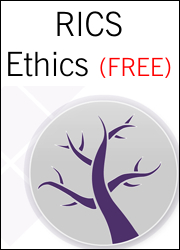 Finally, the chairman covers the RICS Rules of Conduct and Ethics, these can also appear throughout the assessment. At the end of the assessment the chairman will give you the opportunity for any last comments and, if appropriate, revisits any questions that were passed over during the interview. The RICS informs you of the assessment result at a later date. Over the years I have trained over 5,000 RICS members to be APC assessors and chairmen. Part of the training focuses on the issue of competency based questioning. The assessors are expected to provide candidates with clear, concise questions relating to their competency knowledge and experience. You will be asked to explain your understanding, experience, advice and actions and give opinions and generally explain how you would undertake your business professionally. Make sure you have plenty of competency experience project examples to discuss with the assessors. Remember anything you have included in your submission documents could be the basis for a question at the final assessment. Why should I bother to upload my Case Study in the Assessments section? We have provided an opportunity to any myAPCDiary user to store and back up their APC diary and ongoing recording and we felt along with that we can also offer you an opportunity to store your latest copy of your case study file in Word (or similar). This functionality is provided as a nice to have an peace of mind that your case study document is safely stored and backed up off-site just in case of your computer hardware is damaged, stolen, lost or just left behind when you need to get to your APC information. Also, as it is all in the cloud you can access it on any computer.